Government says the civil service is top heavy and therefore needs to shed off excess employees as part of the its restructuring exercise, the Transitional Stabilisation Programme (TSP) report revealed. 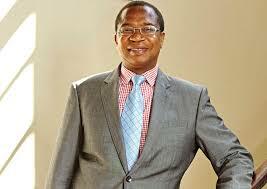 Finance and Economic Development Minister Professor Mthuli Ncube on Friday launched the Government’s economic blueprint TSP which runs from this month to December 2020. “The TSP envisages the shedding of excess staff in the public service in order to create a leaner and effective Civil Service. It is acknowledged that affected staff have skills and experience gained over the years, which should put them in good stead to transition through the change as well as contribute towards the new socio-economic development trajectory of the country,” reads the report. TSP report also stated that the Government will support those who will be affected by the job cuts through providing them with tools and resources, including targeted re-skilling, re-training and re-employment programmes for them to compete in the open market. “Those who wish to engage in productive activities will be assisted in accessing market based financing windows, with Government providing the necessary guarantees, including tax incentives,” reads the report. It said Government will also need to attend to issues where it has more employees in senior positions like the Principal Directors. “The structure of the Civil Service is top heavy, with large numbers of senior grade appointments that are disproportionate to the number of extant line Ministries, and their Departments and Agencies. The position is the same when comparison is made to the sizes of public services and economies in comparator countries in sub-Saharan Africa,” it said. TSP report revealed that the Government will, however, retain some of its skilled and competent civil servants who have reached retirement if their experience and expertise are needed. These will be employed strictly on performance-based annual contracts under a Retired Employee Retention Scheme. The report states that civil servants should change their work culture and be result oriented while facilitating a conducive environment for services. The policy document states that the civil service should be entrepreneurial with the capacity to identify and create opportunities for sustainable mobilisation and flow of investment and the growth of service delivery as well as enterprises that create decent jobs and incomes across sectors.